« Older: Meet the 2018 San Pedro Pirates Football Club Players! 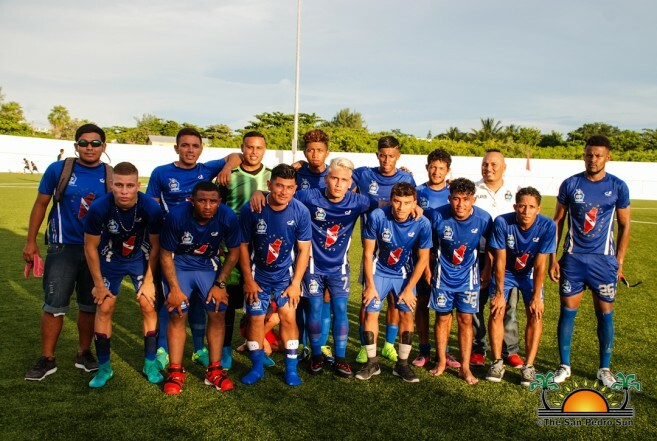 The San Pedro Pirates Football Club lost their second match in the Premier League of Belize (PLB) tournament against the Belmopan Bandits on Saturday, January 20th at the Isidoro Beaton Stadium in Belmopan City. The Belmopan Bandits closed the game with a 3-1 point score, leaving the San Pedro Pirates off the tournament charts for another week. The match began shortly after 8PM, with both teams hoping to open the scoreboard. It wasn’t until minute 24 that Bandits Rony Sanchez scored the first goal for his team. The Pirates responded with a goal at minute 31 courtesy of Inri Gonzaga. The first half continued with crosses and passes, but with no more goals, it ended in a 1-1 point tie. The second half intensified as within the first minutes of the match, Bandits’ Hector Martinez netted another goal for his team. The pressure grew for both teams as fans demanded more goals. At minute 69, Bandits’ Elroy Smith met the fans demand to score another goal for the home team. With the Belmopan Bandits in the lead, the Pirates eagerly made close attempts to net more goals, but all were unsuccessful. When the final whistle was blown, the victory went to the Belmopan Bandits. The current standings of the PLB have Verdes F.C at the top with six points, followed by Police United F.C and Belmopan Bandits with four points each. While Belize Defense Force and Freedom Fighters have three points each, and Placencia Assassins has two points. San Pedro Pirates F.C and Dangriga Wagiya are yet to make it on the chart. In the next match, the San Pedro Pirates will be traveling to Independence Village, Stann-Creek District, to face the Placencia Assassins on Saturday, January 27th. The game is scheduled to start at 7:30PM at the Michael Ashcroft Stadium. For more information on how to accompany the Pirates as a fan, you can contact 629-6770.